Rabbi Abraham Yitzhak ha-Cohen Kook (1865–1935) is, without doubt, one of the most celebrated rabbis of the twentieth century. He is known to most people simply as Rav Kook, the founder of Religious Zionism, and we frequently overlook the fact that the foundations of his teachings reflect a deep modernization of the Jewish faith itself and of its approach to an array of contemporary problems. To discuss the religious approach to the role of the Jewish people and the State of Israel in today’s world, we must turn to the ideas of Rav Kook who saw Zionism in a religious light. At the end of the nineteenth and beginning of the twentieth centuries, Zionism was not seen as an aspect of Judaism. In fact, it contradicted Judaism in many ways, and occasionally even came into sharp conflict with some of Judaism’s conceptions. Despite these contradictions, Rav Kook not only “supported” Zionism, as did many rabbis, but he also formulated Zionism in religious terms. Furthermore, he demonstrated Zionism’s importance for the development and deepening of Judaism. We will examine how Rav Kook’s conception of Zionism shaped a more profound form of Judaism. The central idea of monotheism is that God created humankind in His likeness. The individual is the image of God, and our entire life is a dialogue with Him. All of our actions are the words we speak to God, and everything that happens to us is His answer to us. 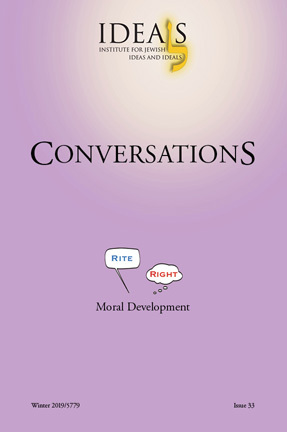 Rav Kook’s main philosophical concept is that the Jewish understanding of life as a dialogue with God has not one but two central themes: a dialogue on an individual level and a dialogue at the national level, i.e. a dialogue between God and the Nation. The religious significance of the State of Israel is that its very creation compels the Jewish people to act as a single entity. Zionism and the creation of the State of Israel bring the Jewish people back into a full dialogue with God. Rav Kook was a poet by nature, not a university professor. Thus, he believed that mysteries are explained only by other mysteries. This approach makes a systematic study of Rav Kook’s philosophy difficult. In the following article, we will attempt to outline Rav Kook’s philosophy in more concrete terms. According to Rav Kook, one vital step in the evolution of Judaism is the revival of those sparks of Divine light that have hitherto been lost, or that were insufficiently realized in the process of historical development. It must be noted that the outline presented below represents a simplification of Rav Kook’s views. It is described in more detail in his article, “The War of Ideas and Faiths” (Orot, p. 129; see also Shemona Kevatzim 1:16). in them—they were not taught correctly, they did not fully understand their traditions, and so forth. Thus, the task of religious leadership was to influence these souls through explanation and teaching so that they would return to Judaism. It was at this moment that Rav Kook proposed an entirely different approach to the problem. According to him, the reason Jews were rejecting the Torah lay not only in the error of their ways, but also in the flaws of the modern religious world—in Judaism as it existed at the time. In order to bring about the return to Judaism of those who had fled, it was necessary not to drag them back to the Judaism that they had rejected, but to correct the defects within Judaism itself. Then those Jewish souls would gradually return of their own accord to the renewed Judaism of tomorrow. In other words, Rav Kook regarded the exodus of Jews from Judaism as an indicator of the presence of flaws in Judaism; furthermore, he saw it as a sign that the time was ripe for correcting these defects and believed that social/historical circumstances required that we do so without delay. Basing his approach on Kabbalah, Rav Kook maintained that if a large number of Jews rushed to a particular ideology under the banner of morality and virtue, this meant that despite its apparent distance from Judaism, or even hostility to it, that ideology must contain a spark of Divine light. The anti-religious appearance of this alien ideology would merely be its shell, which fed off the energy of the spark inside. It is that spark, not the shell, that attracts the souls of those who turn away from Judaism, as Jewish souls, on the whole, are drawn to good and reach for it innately. Furthermore, the “breach”—the spontaneous, morally grounded mass movement of the Jewish people—is itself an indicator of the ripeness of the spark, a sign that it is time for its activation. Of course, Rav Kook did not believe that every Jew is an entirely upright person, who strives for good in every deed. We know perfectly well that among Jews there are plenty of fools and criminals. However, when a large group of Jews leave their tradition for another ideology, we see not the rejection of the Torah by an individual Jew, but a socially significant movement. Such a movement is always accompanied by a sense of moral righteousness declared and subjectively felt by its participants. Without this sense, a social movement cannot develop. Rav Kook believed that a human sense of morality, which is the manifestation of God in the individual, is the world’s driving force. Therefore, he viewed a spontaneous, morally grounded social movement by the Jewish people as a definitive manifestation of the role of the Jews as the chosen people—even though the form that this manifestation takes might directly contradict the directives of the Torah—and held that we must, in the end, view the situation as “hitgalut Elokim,” the revelation of the Divine. Thus, Rav Kook’s teaching is a Torat haKelal, a teaching of national unity, viewing the Jewish people as an integral whole, capable only as a single entity of bringing the Torah to the world, and seeing disparate groups within the Jewish people as essential parts of the whole. Continuing our analysis of the outline for Judaism’s development, it is important to note that the ideas presented so far—that inside every shell are concealed sparks of holiness and Divine light, that the shell feeds off the energy of this spark, and that Jewish souls carry within themselves—the role of the chosen and the attraction to good—do not constitute the unique and truly revolutionary teaching of Rav Kook, as all of these ideas have been stated and discussed many times in Kabbalah and in Chassidism. The true revolution in thinking put forth by Rav Kook lies in the proposition that this situation arises due not only to the attraction of the sparks, but, above all, to a defect in Judaism as it exists, evidenced in the lack or insufficient activity of a given spark within it. The process of activating the spark involves several stages. The first step is to extract the sparks from the shell (see Shemona Kevatzim 1:71, also p. 63, passage 9). Guided by our Divine moral intuition, we must explore and determine the precise nature of the Divine spark that is drawing masses of Jewish souls to a particular ideology. To do this, it is necessary not only to approach the views of those who have joined the new ideology or movement with extreme respect and deep attention, but also to demonstrate genuine sympathy for the “ism” itself. In the language of Kabbalah, we must feel the Divine spark locked within the foreign ideology. Clearly, in order to extract the spark from any specific “ism,” it is necessary, while staying within the framework of Judaism, to show sympathy toward the “ism,” as sympathy and empathy are the first steps toward understanding. But any individual religious person may not sympathize with every ideology. Some may simply be too deeply repulsive to him or her. This merely shows that this person is not equipped to extract the spark of Divine light from those particular “isms.” Rather, that person must work with those ideologies that he finds himself naturally in accord with, as only in them he or she will be able to find the spark of Divine light. It is impossible for any one person to sense the sparks in all “isms,” and it is wrong to attempt to spread oneself so thin. Every person must focus on what is genuinely close to his or her Divine soul. At this stage, those who, in the course of their lives, have spent time near to or even within the foreign ideology being examined may play an especially important role. In particular, when Western values are integrated into Judaism—or, to put it more precisely and formally, when those sparks of Divine light that nourish the values of contemporary Western culture are revived within Judaism—an important role must be played both by Jews from Western countries and by Jews from Russia, who have been educated in the crucible of totalitarianism and communism. The process of identifying the Divine sparks in secular ideologies is only the beginning of our work since, as stated above, we cannot integrate that spark into Judaism directly. Such a heavy-handed transplant would lead to a rejection of the tissue, which could even result in the death of the entire organism. Therefore, unlike Reform Judaism, which swallows the spark whole from the other teachings and so takes in with it elements of shell that radically contradict the Jewish approach and tradition, the Modern Orthodoxy of Rav Kook strives before all else to find this spark’s native, authentic manifestation in Judaism. Orthodoxy must seek out the spark and its true Jewish form in the fundamental tenets of Judaism—that is, in the complete and ideal Judaism, encompassing all the ideas contained in all of its texts and oral traditions. To do this work, one must not only be an expert in Torah, Halakha, and Aggadah, but one must also have the particular wisdom to sense behind the traditionally expressed formulations the deep contemporary content that accurately reflects their Divine light while resonating in today’s world. Next, the given spark must be cultivated within a renewed Judaism. The process of the cultivation of sparks is carried out in our model through modern Judaism, as it does not alter the existing, historically formed Judaism, but supplements and corrects it. (See for example, Midot HaRe’aya, Emuna (Faith) 28.) The concept presented here is not Reformism, which is associated with the abolition of ritual commandments, but Modern Orthodoxy, in which a process of development is continually taking place alongside the preservation of tradition. Judaism loses nothing, but only increases. Rav Yochanan Fried, who studied at Mercaz HaRav in the seventies, gives an example of this complementary kind of learning. He once received a letter which related how two Mercaz HaRav students, Yochanan Fried and Hanan Porat, were invited by Rav Tzvi Yehuda Kook to the Ein Harod Kibbutz to participate in a discussion on “What does the youth do in its free time.” When their turn came to speak their mind, they said, “Yeshiva students don’t have free time. Therefore, we don’t have this kind of problem. Yeshiva students are above all this—we study Torah continuously and don’t have time for recreation.” As a result of their words, an hour-and-a-half long discussion evolved, at the end of which a women sitting at the end of the hall stood up and asked, “If you are so great, what can you learn from us?” When Rav Tzvi Yehuda later heard about the question, he asked the students, “What did you answer her?” When they responded that they didn’t answer anything, he criticized them. “Be ashamed of yourselves! You traveled all the way to Ein Harod and didn’t learn anything about love of the land and about hard work? You didn’t learn anything from the wonderful relationships that exist between members of Ein Harod?” This encounter gave rise to a correspondence between Rav Tzvi Yehuda and Hanan Porat, who published his letters in his book Et Ahai Anohi Mevakesh (first published as Et Anat Anohi Mevakesh). As a result of the activation of the spark, the defect in Judaism is corrected, and Judaism takes a new developmental step. In place of the existing Judaism of today comes the Judaism of tomorrow. Furthermore, because the spark whose light had been attracting the souls who left in process is now restored and active within Judaism, these souls begin to return to Judaism (see Shemona Kevatzim 8:51). Of course, we do not in any way mean to say that those who will return to Judaism are the very same people who earlier left it. The step in development described here occurs over the course of several decades, and those who have left have left. At the individual level, a return to Judaism is possible at any moment; but the return of a whole generation is impossible without the restoration of that spark that gives life to the new ideology and that triggered the exodus from Judaism in the first place—a process that must ripen over many decades. Finally, people with “kindred souls” to those who left earlier now return, as they are the souls attracted to this particular spark—but this takes place two to four generations. In other words, it is their spiritual grandchildren and great grandchildren. We will now use examples to illustrate how this model functions in practice. For the first example, we will examine a fairly simple “ism,” with regard to which the above model has been fully carried out from beginning to end: secular Zionism. At the beginning of the twentieth century, “Judaism” and “Zionism” were not only contradictory, but in many ways hostile to one another. The first heralds of Zionism were religious (Rav Tzvi Hirsch Kalischer, Rav Yehuda Ben Shlomo Chai Alkalai, and others) but they did not succeed in creating a mass movement. The Zionist mass movement sprang up in the twentieth century and was mostly secular. At that time, the slogan of secular Zionism was “we will become a nation like all others.” This entailed, in particular, the abandonment of religious principles as a basis for Jewish self-identification in favor of a civil-national identity. Because of this, many rabbis condemned secular Zionism as an attempt to destroy the Torah and traditional Judaism. The situation was somewhat simplified by the fact that this spark consisted of the desire to resurrect a full and authentic Jewish national life in the land of Israel. Not only does this ideology not contradict Judaism, as many mistakenly believed at the beginning of the twentieth century, but, on the contrary, it is an essential condition for Judaism’s further existence and development. Therefore, Rav Kook focused on the study of those sources in Judaism that address the religious significance of Jews coming back to their Land [See, for example, Orot HaTehiya 8]. In his articles and books, he conducted a thorough and deep analysis of these sources, and he made this analysis the central component of his educational program at the Zionist “world-wide Yeshiva” (Merkaz haRav) that he founded. After his death, Rav Kook’s students, and especially his son, Rabbi Tzvi Yehuda Kook, brought up a new generation of rabbis and religious activists at that yeshiva, for whom Zionism—the claiming of the Land of Israel and active participation in its government—was an integral part of the living Judaism that they studied, taught, and abided by. Graduates of the yeshiva Merkaz haRav transmitted the same active contemporary Zionist spirit to their students and to the religious circles they influenced. Since this teaching was in keeping with the times, it began to spread far and wide. All of this took place as an undercurrent over the course of nearly half a century, from the 1920s to the 1970s. And when, after the Six Day War (1967) and especially after the Yom Kippur War (1973), the question of creating Jewish settlements in the territories of Judea, Samaria, and Gaza came up, the tens of thousands of students of Rav Kook’s school, united in the movement Gush Emunim, were the driving force behind the new wave of Zionism. In other words, in the 1970s and 1980s, the religious Zionists—that is, the adherents of Modern Orthodoxy, Rav Kook’s school—became the leading Zionist group in the country. The perceptions of society were transformed: People’s ideas of “Zionism” and “Judaism” ceased to contradict one another and drew closer. The struggle for the settlement of the Land of Israel by Jews took on a religious character far different from the anti-religious character it had had at the beginning of the twentieth century. As a result, those who had a Zionist soul, who cared about Jewish settlement in Israel, began to draw closer to Judaism, rather than to distance themselves from it. One could say that in the late twentieth century, Zionism “returned” to Judaism the souls that it had “borrowed” at the beginning of the century. We will now examine a different example, one that may appear shocking at first, but that nevertheless fits within Rav Kook’s overall model for approaching secular ideologies (see, for example, Orot Hakodesh 3, Musar Hakodesh, pp. 125–127, 129.) Specifically, we will apply the system described above to atheism. We will attempt to carry out the process of extracting a spark of Divine light and furthering the development of Judaism by means of atheism. Atheism, according to our model, fully qualifies as an outside “ism.” It stands in opposition to Judaism, it displays the banner of rejection of religion, yet Jews join its ranks in significant numbers, proclaiming its morality and worth. Rav Kook devoted a significant amount of attention to its analysis in his works (for example, Midot HaRe’aya, Emuna (Faith), pp. 27–28; Orot Ha’Emuna, Kfira (Heresy), p. 84). As always in his approach to a foreign ideology, Rav Kook did not focus on a critique of atheism’s mistakes, its rejection of God and tradition, and so forth. This would have been trivial, and it was attended to at the time by much of the religious establishment. Rather, he attempted to understand where the deep attraction of atheism lay, what was in it that drew Jewish souls, and how Judaism needed to evolve so that, instead of leaving, souls of this type would find their rightful place in it. What is the “spiritual core” of atheism, its Divine spark? In order to find this, we can ask the following question: From where do members of this group derive pride? For pride reveals the correlation between our achievements and our Divine spirit. We take pride in those achievements that gladden our Divine spirit, seeing them as truly worthy. In other words, the point of pride of any ideology signals what must be culled from it, as it is the root of the attraction of the Divine soul. This, therefore, is where we must seek out the concealed spark. Thus, the true atheist has skepticism as his or her core conviction and declares him or herself to be a critical thinker who has unanswered questions to which no one can have ready answers. Is this core of atheism attractive? Picture two teachers, one who says, “Come to me. I have answers for everything,” and one who says, “Come to me. I have questions and doubts for every problem.” Which of them seems more spiritually advanced? Whose lectures would you wish to attend? The skeptic’s, of course. We know that there are no ready answers to the truly complicated questions. We also know that answers are very often superficial and questions much deeper. Therefore, if one says that he has answers, and the other that he has questions, we will, of course, go to the one who has questions. By means of this analysis, with the help of our own religious intuition, we have found the spark of Divine light in atheism. Our intuition clearly confirms that questions and doubts are a great thing, and that in them there lies the source of atheism’s spiritual attraction. Does this component—unanswerable questions—exist within Judaism? Clearly, in Judaism as it existed 100 to 200 years ago, the emphasis was primarily on the “answers.” Today, unfortunately, within the popular, rather primitive Judaism with which certain demagogues try to “capture” the masses, the stress is also frequently placed on the answers. But if we are deeply convinced of the religious importance of unanswerable questions, then let us look to ideal Judaism and try to find out where within it the central questions and doubts lie. In other words, the Book of Job concludes by telling us that there is in principle no answer to these essential questions. The question of justice remains open. It is necessary to seek an answer, but one must never assume one has found it. Thus, we have an example from a book from Tanakh that clearly states that there can be no answer to this and, apparently, to many other fundamental questions. Another such book is Ecclesiastes (Kohelet). And although this book ends with the words “fear God… for this is the whole man(Ecclesiastes 12:13) which can be seen as an “answer,” the entire book in essence tells us that answers to real existential questions do not exist. This is one more typical instance in Judaism of the “unanswerable question.” One must admit that had the books of Job and Ecclesiastes consisted of a collection of answers about the meaning of life, the Tanakh would have been greatly impoverished. However, in the late nineteenth and early twentieth centuries, this aspect of doubt was not a developed area within existing Judaism. Its spiritual leaders considered doubt to be a flaw and discouraged their followers from discussing questions that sowed it. They were to stay inside and never venture out. The leaders feared that one of their flocks might leave—yet many did flee Judaism because those spiritual leaders were unable to reveal its inner potential to address adequately the problems of the times. The leaders discouraged the reading of certain books, but people read them and turned away from Judaism and its lack of tolerance for doubt. We have found the Divine spark in atheism, and we determined that that spark was not realized in existing Judaism, which feared doubt to the point that the thirst for it became a force for the spread of atheism. Our next steps are to develop within Judaism the spark of doubt that we have discovered in its roots, so strongly that it will shine more brightly there than it does in atheism. The following conception formulated by Rav Kook provides us with a roadmap for revealing the spark of doubt in Judaism. He tells us that any faith that lacks doubt is not an ideal faith. On the contrary, belief without doubt is primitive and simplistic [See for example, Shemona Kevatzim 1, 36; Orot, Zir’onim 5]: Doubts are an integral part of true faith. As the Divine is by its very essence eternal, and all things human are, by their essence, temporal and finite, including all of our thoughts, ideas, and reasoning about God, our understanding of God cannot, in principle, be correct. But what are we to do, if we are finite and temporal? How can we at least draw closer to the eternal Divine, come to understand even partially? At the very least, we must doubt everything we think about the Divine, for when the finite being feels his limitations and doubts himself, he becomes “less finite,” some potential of the infinite appears within him. If we are sure of ourselves and do not doubt, then our finite and temporal conceptions of the Divine become “even more finite,” moving further from the eternal Divine. If what is finite wishes to become less finite and to move closer to the infinite, it must be dynamic. That is, we cannot become actually infinite, but we must at least be potentially infinite, if only through doubting the certainty of our understanding and wishing to move forward. Therefore, doubts are an integral, necessary part of true faith, aiding, not impeding, its progress. When students in a yeshiva or school are taught this concept of faith, an entirely new generation of religious people rises up, whose views can be characterized as “religious post-atheism,” which uses the religious achievements of atheism in the development of Judaism. Unless it activates within it the aspect of doubt, religion will be primitive. Doubt is necessary for its existence. Because the aspect of doubt was not adequately developed in religion over the last centuries, atheism came along, smashed everything, and advanced among people the concept of the value of doubt—and for this, religion owes it a debt of gratitude. Atheism comes, says Rav Kook, to ridicule the primitive form of religion and destroy it, clearing the ground for the construction of a more exalted religious system. From the point of view of the development of religion, atheism was a historical necessity, as we ourselves—even the religious community and leaders who recognize the importance modernization—would never have decided to destroy that primitive aspect of religion. We simply would not have had the strength and nerve. Therefore, atheism enters and does all of that work for us. The observant religious person who has grasped the ideas of post-atheism holds a different sort of religious consciousness. He combines Orthodox religiosity with a willingness to doubt his own religious tenets. Such a person emanates this new type of faith, changing the ideas of those around him, opening the way to religion for doubting people. These doubting souls begin to approach Judaism, seeing that post-atheist Judaism contains the spark of doubt, and that the spiritual necessity of doubt is even more developed here than it was in atheism. The difference between the post-atheist religious consciousness and the classical one is easy to see. The Israeli essayist and philosopher Dr. Daniel Shalit says that one needs to converse with a religious person for no more than ten minutes to determine whether he or she is post-atheist or pre-atheist. Approached this way, atheism is not an enemy of religion. It is an enemy of primitive religion, but an ally in the creation of a more advanced one. If we can make the ideas of atheism the general property of the religious world, we will move religion forward and make it possible for those whose souls instinctively and absolutely correctly thirst for skepticism and doubt to approach this religion. Thus, according to Modern Orthodoxy and post-atheism, doubt is critical for the growth of faith; without it a person cannot believe truly. If people, limited by nature, do not doubt their own limited religious ideas, they will remain much farther from God in their understanding than those who, though limited, at least doubt. When we frame the problem this way, we frequently encounter the following question: “Should one doubt everything? There must be something, from the religious perspective, that is absolutely beyond question. God’s existence is certain—how can that be doubted?” The answer, from the point of view of religious post-atheism, is that everything can and must be doubted. To doubt is not to deny, but to subject to criticism and analysis. This applies even to the tenet that God exists. What is to be doubted is not the words themselves, but our interpretation and understanding of them. Since doubt is not denial but analysis and clarification, it is necessary for our religious understanding. It would be incorrect to see doubt in the existence of God as a choice between the statements “God exists” and “God does not exist.” This is a different kind of doubt entirely. What we must doubt is the meaning that we give to the word “existence” as it relates to God. Rav Kook proposes a completely radical approach to this problem. He explains that there is a faith that is not faith. And there is a lack of faith, or atheism, that is, in its essence, faith (see Shemona Kevatzim 1, 633). What does he mean by faith that is not faith? He refers to the person who believes in God, but whose belief is so primitive that his image of God is closer to a caricature than to what God is. And what is lack of faith that is faith? This is the situation when a person says that he does not believe in God, but he says that because religious groups have pictured God in such a primitive form that he is unable to believe in such a God. This unbelief reflects not a lack of faith, but a high level of religious feeling. The words “I believe in God” or “I do not believe in God” do not reflect true faith or lack of faith. We must hone the meaning of these words during our whole lives—not just our individual lives, but over the course of all human life. We can and must doubt these meanings in every way, for doubt is not denial; doubt is dissatisfaction with simple answers and a thirst for more precise understanding. The religious concept of the continuing Revelation of God asserts that the Divine Revelation did not stop at Mount Sinai, but continued throughout time and continues still, manifested not in miracles, but in the course of human history, above all of Jewish history. Therefore, this Revelation can and must be listened to, and to do this we must see history as a dialogue with God. There is no doubt that the very idea of monotheism as a religion of dialogue implies a continuing interaction between humans and God throughout all of human history. What is more, Jewish monotheism, as Rav Kook’s concept emphasizes, is characterized by the idea that not only does every individual carry on a dialogue with God, but the nation as a whole, and all of humankind do the same. It would be natural to suppose that through this dialogue, God continues to speak. Of course, God does not say anything to contradict God’s earlier words; God’s word cannot be revoked. The earlier Revelation is never rescinded, but it must be continually developed and added to. Thus, the idea of a national dialogue with God leads to the principle of continuing (or ongoing) Revelation, and that, in its turn, to Modern Orthodoxy. It stands to reason that not everything that has occurred in the course of history is Divine. Many developments can and should be criticized, changed, repaired. However, it would be categorically wrong to cast away historical development as a whole, as we would be discarding with it essential elements of the Revelation. According to this conception, we do not have the right to reject historical change—not because we must protect human creative activity from primordial religious dogma, but on the contrary, because we adhere to a religious viewpoint. Science and technology play a big role in society, but do they have a spiritual-religious value in and of themselves? The general opinion is that they don’t. However, already in the first chapter of Genesis, immediately following the creation of Adam and Chava, God commands them, “Be fruitful, and multiply, and replenish the earth, and subdue it” (Genesis 1:28). This verse contains a commandment to conquer the earth, which means to build a civilization. This building is impossible without the development of science and technology. Conquering the earth means gaining control over nature. It means using power and knowledge to improve the conditions of human existence despite nature’s limitations: being able to turn on the light when it is dark outside, to heat your house when it is raining and cold, to move at great speed, to transmit sound over long distances. All this is included in the concept of “conquering,” and technological development needs to be seen as the fulfillment of this commandment. Why then is the “commandment of conquering,” i.e., constructing of civilization, not enumerated among the 613 commandments? The reason is that it pertains to humanity as a whole and does not address any individual or even any nation—and commandments that are intended for the human race are not counted among the commandments. There are those who interpret this verse as a blessing and not as a commandment; however, the grammar of the verse suggests the formulation of a commandment. Additionally, “be fruitful and multiply” is understood as a commandment. Therefore, if the first half of the verse is a commandment, it stands to reason that the second half is also a commandment. See also Orot Hakodesh 2, Hamegama Haelyona 33, page 563; Orot Hatechiya sections 16 and 30. According to Rav Soloveitchik as well (in The Lonely Man of Faith), the ambition to develop technology is engrained in humans, who are created in God’s image, and therefore, it is clearly a spiritual value. It follows, then, that science has religious worth. We must see those who advance science and technology as performing a commandment and feel national and religious pride towards Israelis who receive the Nobel Prize. Moreover, in order return those souls who are attracted to “Americanism” as expressed in the desire to conquer and develop nature, we must create a positive religious image of scientific and technological development; to do so we need the explicit support of our religious leaders. Many of them are focused on finding halachic solutions to the halachic problems that arise from technology. But unfortunately, very few of them see the religious significance of science and connect it with Torah. In ancient times, the sole purpose of art was decoration and beauty. In both secular and religious life, decoration and beauty were used to convey a divine message to the people. Judaism did not have a problem assimilating this view of beauty: there are numerous Jewish sources that emphasize its importance. For example, Ten measures of beauty came down to this world - nine of them were received by Jerusalem and the rest by the entire world (Kidushin 49b) and, “whoever did not see the Beit haMikdash that Herod built, never saw a beautiful building in his life” (Bava Batra 4a). In the Renaissance period, the perception or art underwent a metamorphosis: art became an expression of the innermost world of the artist, and was no longer a means of transmitting a religious message. In the modern age, a new phenomenon that facilitates this newly gained purpose appeared: all of society began promoting and encouraging creativity. During the course of history, art lost its association with religion, and became a secular, universal phenomenon. Religion did not comprehend this new kind of art, which exists in and of itself and expresses the inner world of the artist; religion surely did not see any religious value in it and therefore limited its interaction with art by using strictly halachic terminology, defining what is permitted and what is forbidden. The tension between religion and art intensified until they reached a point where each one saw the other as hostile and dangerous. A person is created in the image of God, and the more a person comes closer to Him, the more he realizes himself as a human being and makes himself complete. The Torah opens with a description of the creation of the world—God creates the world and humans. Creation is the first act; thus, a person’s ability to create brings him closer to God. [In The Lonely Man of Faith, Rav Soloveitchik speaks a lot about how a man resembles God through creative action.] Therefore, art, which gives expression to human creativity and teaches society about creativity, opens before mankind a new way to draw nearer to God. It should be emphasized that art’s religious significance becomes clearer when we contemplate art’s role in history rather than the lives of individual artists. Looking at this model for the development of Judaism by means of sparks from “isms,” we are obliged to make note of one critical feature, which from a religious point of view might well be seen as an embedded “flaw.” Namely, the model presupposes that Judaism lags behind culture in its development. The “ism” appears first, arising in relation to progress in the larger society. As a result of this, people become dissatisfied with flaws in Judaism that earlier generations accepted (see Arfilei Tohar, 2 and 68); they leave and build a new ideology; and only two or three generations later does a segment of the religion adopt, develop, and realize the essence of these new ideas to create. But if it is always thus, how will religion ever be able to lead? How will it accomplish what it is called upon to do? The answer to this problem comes in two complementary parts. The first is the fact that, indeed, within the structure of assimilating sparks from various ideologies and movements, Judaism will never be in a position to overtake those “isms.” However, Rav Kook explains that Judaism has “in reserve” another most important concept, namely, that of God’s dialogue not only with the individual, but also with the nation as a whole. Christianity or Western society never adopted this idea, inherent to Judaism from the start; humankind has only today begun to explore it. Therefore, Judaism will be able to lead civilization by means of this idea, rather than through its assimilation of sparks, which, as important as it is, merely serves to correct accumulated flaws that occur in the process of transition from Judaism of Diaspora to a Judaism of the Nation of Israel. Until we have adequately corrected these flaws, we will continue to fall behind and so will be unable to make ourselves heard by the world. We must continue to correct them, while at the same time developing that concept of national dialogue with God that is uniquely ours. We would later bequeath this concept to humankind, thereby making an essential contribution to the development of civilization. This is the first part of the answer. However, the problem has another aspect. The second part of the explanation as to why Judaism lags behind culture in its development is that, as Kabbalah explains, our entire world is “tikkun olam”—“a world of correction.” Godliness is infinite and therefore human perception cannot fully grasp it. Similarly, no traditional movement can reflect Divine perception in its entirety because it is limited by time and wording. (Orot HaEmuna, p. 64) In kabalistic terms, God’s light cannot appear in our world immediately in its true form. At the beginning of Creation and again in every new stage of development, there is shevirat kelim, the breaking of the vessels, and the sparks of Divine light become enveloped by shells. Judaism’s “lag” is grounded in the very foundations of existence. Every idea first appears in a wrong form, in the context of the “ism.” And only afterward, as a result of our efforts to improve the world, it appears in a purer and more correct form. This arrangement of things is, of course, not accidental. It is related to God’s desire to allow us to become God’s “companions,” God’s co-creators in the universe.